Sharmin graduated with a BA in Anthropology and Sociology from Goldsmiths, University of London in 2011. She is responsible for planning and delivering subject specific taster weeks for year 9, 10 and 12 students to raise aspirations and encourage young people to pursue Higher Education. She liaises with internal academic schools and externals to support delivery of sessions and develops and maintain strong relationships with target schools and colleges. 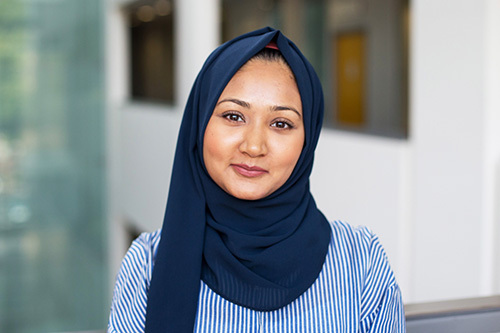 Sharmin has a keen interest in raising awareness of HE within disadvantaged groups. This has been demonstrated in her previous roles within Widening Participation and Outreach, student recruitment and whilst volunteering as an academic support mentor for young people at Into University.